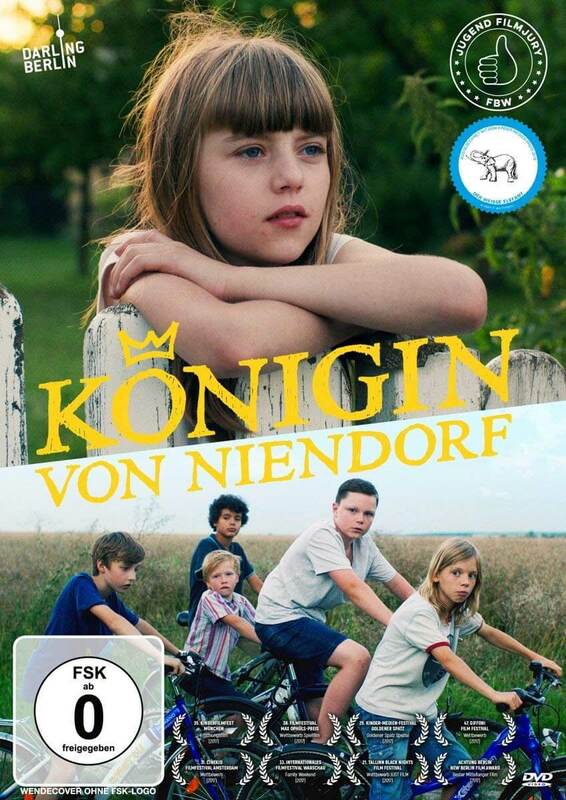 The award-winning family film “Königin von Niendorf” (English: “Queen of Niendorf”) (Darling Berlin) is now available on DVD and on VOD. The film by Joya Thoma was released on February 15, 2018 in cinemas and has been in the German cinema charts for 23 weeks. Most recently, 13-year-old Lisa Moell won the German Youth-Mediaaward “White Elephant” for Best New Actress. The “Queen of Niendorf” was also on the longlist as Best Children’s Film for the Lola. Lisa Moell plays the 10-year-old Lea in “Queen of Niendorf“. The film begins at the time when the summer holidays in Brandenburg have just begun. Lea does not go to camp this year as usual with her friends. In general, she finds the other girls in her school increasingly stranger. And so Lea turns mostly alone on her bike through the village and visits the musician and dropout Mark (Mex Schlüpfer), who lives on a wild farm. One day, on one of her raids, Lea observes five boys hauling a large oil drum over the fence of the paint factory and racing away with their loot on a bicycle trailer. On August 30, the film also starts with French dubbing in French cinemas.